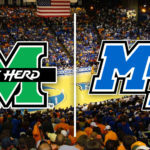 The Thundering Herd advanced to the Conference USA tournament semifinals for the third straight season with a 95-81 win over the Roadrunners of Texas-San Antonio in a quarterfinal matchup on Thursday night. 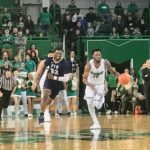 The win allowed Marshall to avenge a four-point road loss earlier in the season to UTSA. 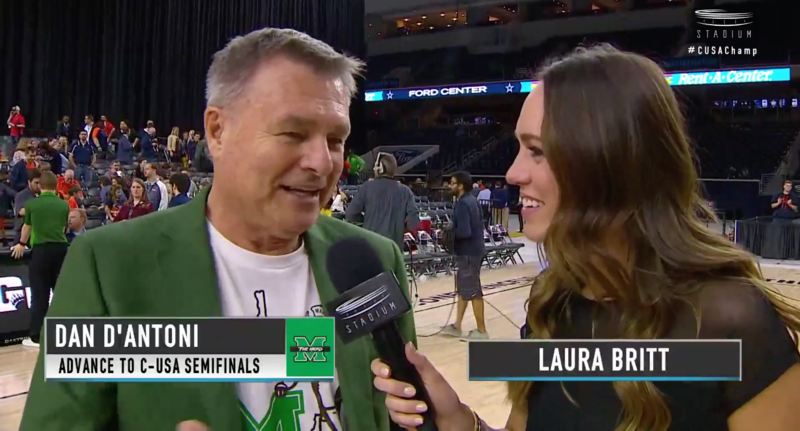 “That was the one game that I got upset,” Herd head coach Dan D’Antoni said.. “When we went down there I was kind of embarrassed with our energy level and sense of focus. That was the only time all year long I felt that way with these guys. Tonight our energy and focus was much better. Marshall jumped out early on UTSA and built a double-digit lead in the first half behind a strong opening 20 minutes by C.J. Burks. The junior poured in 18 first half points and finished with 29 to lead all scorers. 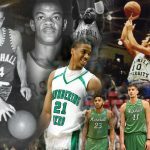 Burks also finished with nine rebounds narrowly missing a double-double, but two other Herd players did register double-doubles. 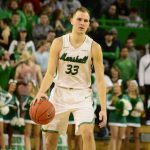 All-Conference USA first teamer Jon Elmore scored 15 points and dished out 11 helpers while CUSA Defensive Player of the Year Ajdin Penava dropped in 23 points and brought down 12 rebounds. Marshall led by as many as 18 in the second half but the Roadrunners fought back into the game and cut the lead to just 5 with a little less than six minutes to play. 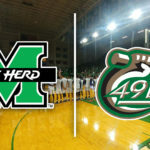 However, Penava hit a couple of tough shots and freshman Jansson Williams chipped in a block and a big three pointer in a crucial stretch for the Herd that helped push the lead back to double figures. The fourth seeded Herd will now play Friday afternoon at 1:30 p.m. EST against ninth seeded Southern Mississippi. The Golden Eagles pulled off a little bit of March Madness magic in the quarterfinals by knocking off two time defending champion and top seeded Middle Tennessee in overtime. 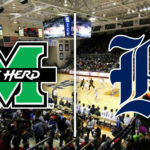 Marshall previously defeated Southern Miss 85-66 back in December.